The double murder trial of a man accused of killing his wife and their unborn son is under way in California. 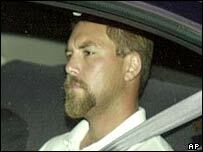 Scott Peterson, 31, could face the death penalty if found guilty. 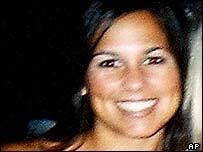 The headless, limbless corpse of Laci Peterson and the decomposed remains of the foetus were found washed up on a San Francisco Bay beach in April 2003. The case has fuelled the abortion issue because of the debate over whether Mr Peterson could be charged for the murder of a technically unborn child. Pro-life campaigners in America have used the case to lobby the federal government to recognise the foetus as an individual in cases of violent crime. But pro-choice and women's groups say the campaign is an underhand way of attacking the right of American women to have abortions. Experts have not been able to determine how Mrs Peterson or her son, to be named Conner, died and it remains unclear whether she actually gave birth. She was eight months pregnant when her husband reported her missing from their home in Modesto, California on 24 December 2002. Mr Peterson denied having anything to do with the disappearance, saying he had been away on a fishing trip. Police said at the time that Mr Petersen was not considered a suspect. Theories about Mrs Peterson's disappearance abounded, running the gamut from a muffed burglary to abduction and murder by a group of Satanists. Half a million dollars was offered as a reward for information. However, according to prosecuting lawyer Rick Distaso, the bodies later washed up in the area where Mr Peterson told police he had been fishing and mobile phone records and parking receipts showed he had been in the area on Christmas Eve. Without a precise cause of death established, much of the trial evidence is circumstantial, but prosecution lawyers hope to provide a chain of argument that will clearly indicate Mr Peterson was responsible for the deaths. Much attention will also be given to an affair Mr Peterson had with a woman called Amber Frey. Mr Peterson initially lied about the affair, but when the information became public he was forced to admit to his infidelity - although he said that his wife had known and that they were trying to salvage their relationship. Mr Peterson's lawyers say their client has been the victim of unfair targeting from the case investigators, accusing them of passing up leads that did not match their theory of what happened.